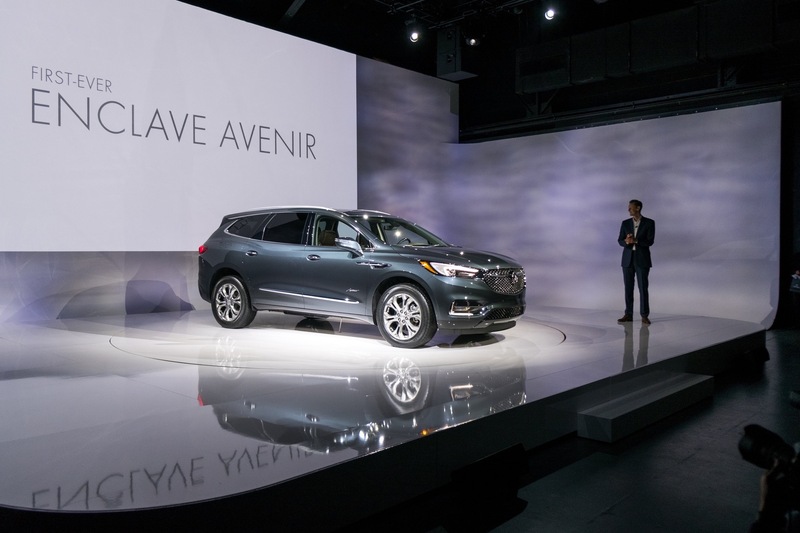 Debuting with the 2018 Buick Enclave, the new Avenir sub-brand represents the highest expression of Buick luxury. 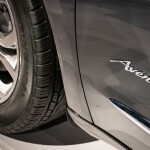 Avenir offers unique styling cues and an extensive set of standard features and premium materials throughout the vehicle. 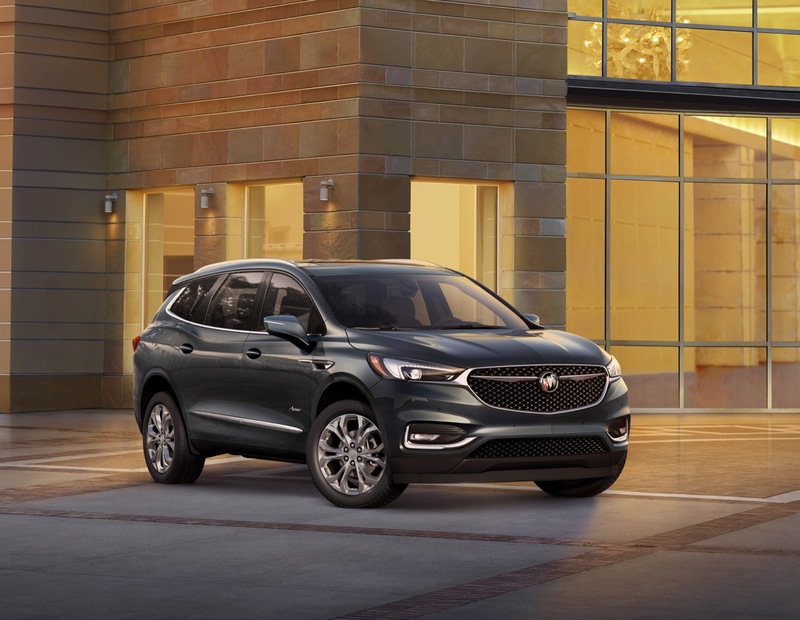 New and versatile functionality, interior spaciousness, and intuitive technologies build on the Enclave’s established popularity. 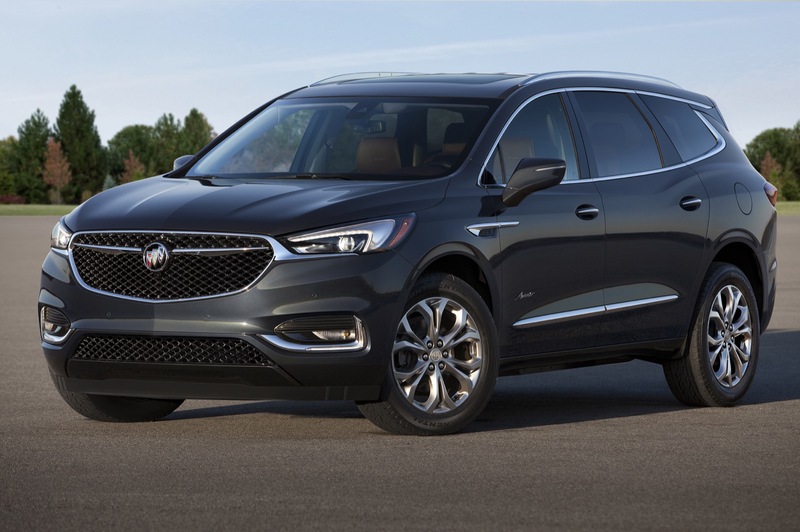 Smart innovation and style come standard on the 2018 Buick Enclave Avenir. 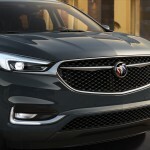 Buick-first Evonik Acrylite exterior lighting illuminates the road ahead with the power of more than 100 LEDs across the vehicle. A Rear Camera Mirror provides a clearer, broader view of what’s behind. And in-vehicle ionization leaves the air cleaner and fresher. It’s all packaged within an elegant design that combines concept car inspiration with improved interior luxury amenities and roominess for up to seven passengers. 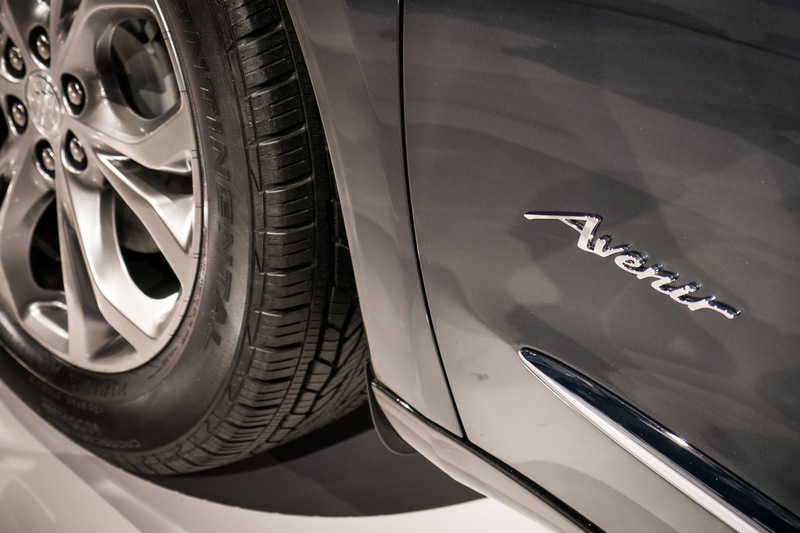 Avenir model comes standard with extensive active safety, connectivity and luxury features for a simple and convenient buying experience. It has an all-new body structure for safety, strength and mass efficiency, plus 17 radar, camera and ultrasonic sensors when fully equipped. 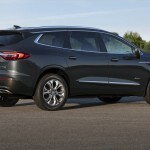 It accommodates seven passengers comfortably and offers more cargo volume behind the first row than the Acura MDX, Audi Q7 and Infiniti QX60. 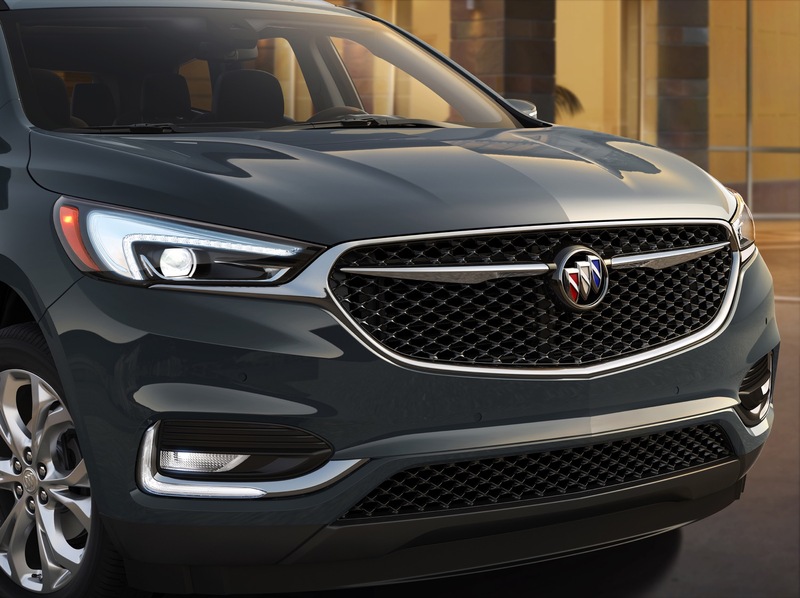 Standard hands-free power-programmable liftgate with a Buick tri-shield logo illuminates the ground below the hidden sensor and power-folding third row. Avenir-exclusive 3-dimensional mesh grille, badging, pearl nickel 20-inch aluminum wheels and luxurious interior materials are standard. 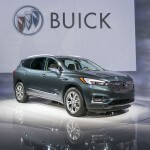 Buick-first Rear Camera Mirror is standard on Avenir. Standard five-link rear suspension and available continuously variable real-time damping (CDC) offer a refined, isolated ride. 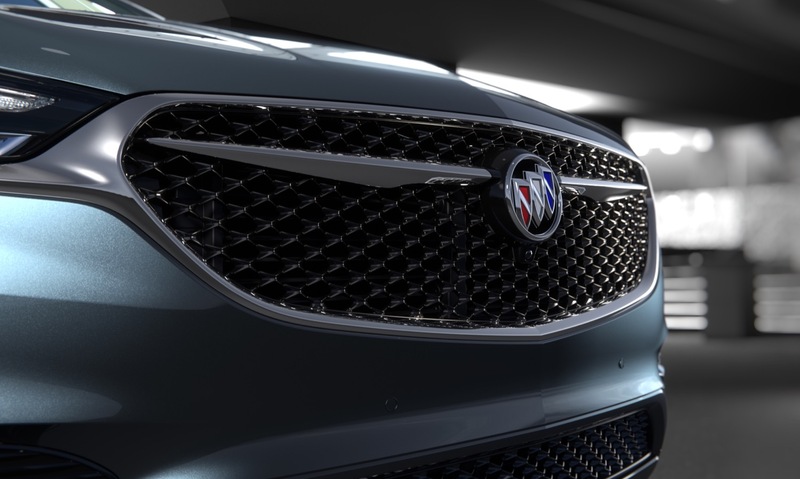 All Avenir models will feature an exclusive 3-dimensional mesh grille paired with chrome wings inspired by Buick concept cars. 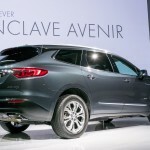 Additional Enclave Avenir notable styling cues include 20-inch, six-spoke wheels with a pearl nickel finish; five premium exterior colors; an Avenir Chestnut and Ebony interior with piping on the seats and contrasting stitching; embroidered first-row headrests; Avenir floor-mats; a wood-accented steering wheel; and bold Avenir-scripted sill plates on all four doors. 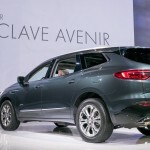 A wide array of advanced technologies and interior features emphasizing premium comfort and inclusive luxury comes standard in the Enclave Avenir, including heated and ventilated front seats; heated second-row seats; navigation; wireless charging; a dual moonroof; an 8-inch diagonal reconfigurable cluster display; a 360-degree surround vision camera system for easier parking; and a rear camera mirror that can function as a traditional mirror or as a camera, eliminating obstructions such as heads and headrests while expanding the rear field of vision by an estimated 300 percent. Available adaptive cruise control and full speed Forward Automatic Braking offer customers even more safety feature options, and a premium suspension with continuously variable real-time damping (CDC) provides a smooth, comfortable ride, with enhanced body control and handling in Sport mode. 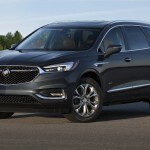 “This is a vehicle intended for Buick customers who demand the best and the latest our brand has to offer,” said Aldred. 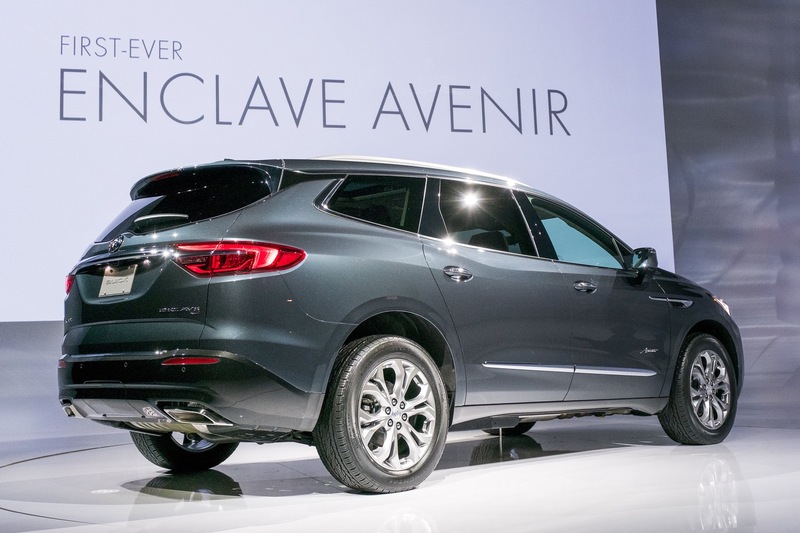 The Enclave’s new design architecture enables a balanced, athletic appearance. New proportions give it a sleeker look with aerodynamic benefits for efficiency. The roofline is lower, the windshield is sharper and the wheelbase is extended, giving the vehicle a more dramatic stance. Its sculpted body creates a windswept appearance. Its interior is inviting and harmonious. 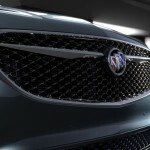 Extensive use of LEDs is integrated into Buick’s first application of Evonik Acrylite technology and bi-functional LED projector headlamps and LED tail lamps. 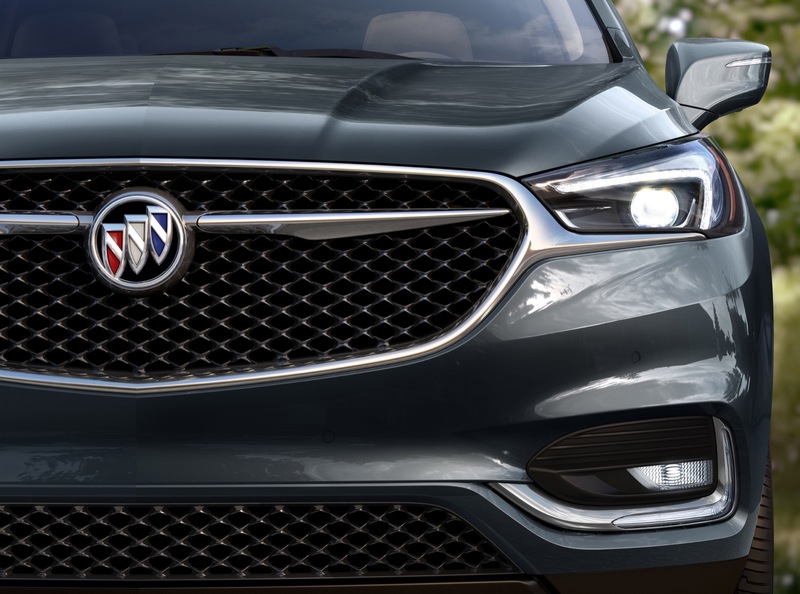 The technology’s compound curvature application creates a smooth, uniform and recognizable appearance that will make the Enclave stand out on the road. IntelliBeam headlamps also allow drivers to experience better road illumination and improved visibility without having to manually switch the high beams on and off. A significantly enhanced suite of available advanced safety technologies is engineered to help drivers monitor their surroundings and feel confident when behind the wheel. 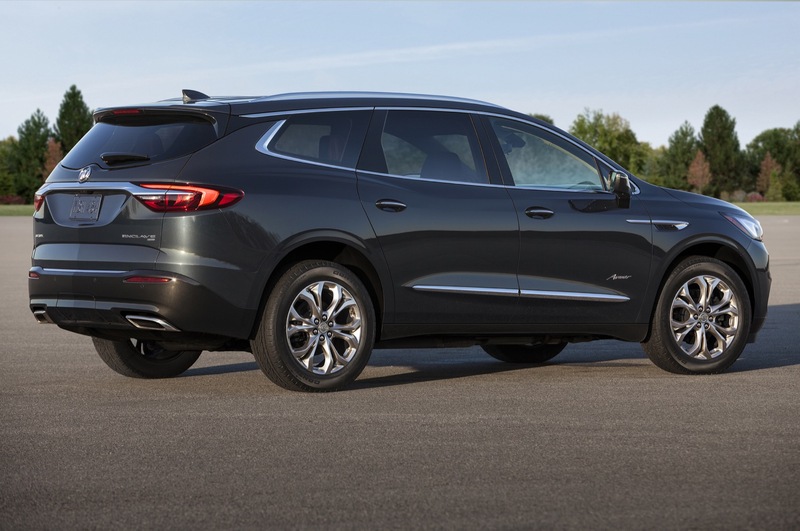 Standard safety equipment on all 2018 Enclaves includes a rear vision camera, rear park assist and seven air bags, including a front center side airbag. 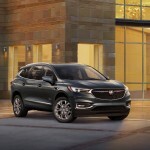 Among the available crash-avoidance technologies are rear cross traffic alert, front pedestrian braking, lane keep assist with lane departure warning, safety alert seat and surround vision. 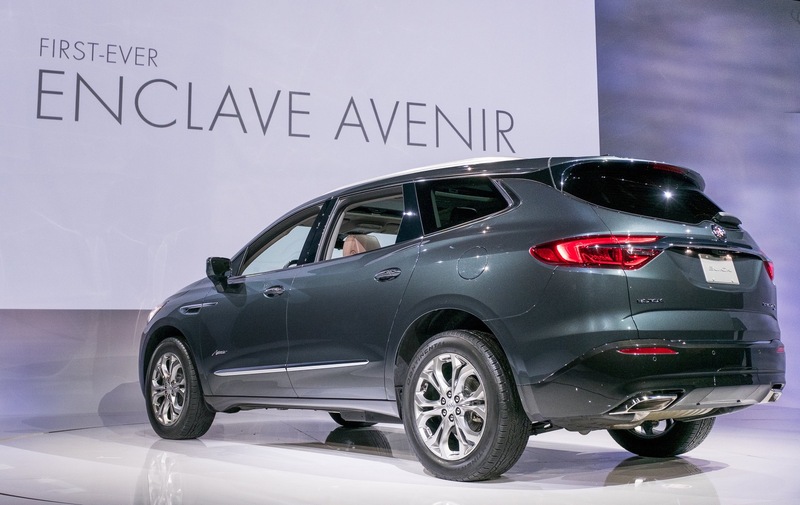 Having leveraged the first-generation Enclave as a benchmark for quietness, the 2018 Enclave cabin is engineered to further minimize unwanted interior noise through its honed exterior shapes, sealing and sound-deadening acoustics and strategic use of materials throughout. QuietTuning and active noise cancellation enhancements help to reduce, block and absorb noise, keeping it from entering the cabin. A 10-speaker Bose Premium sound system with new components, new tuning and a redesigned bass enclosure further enhances the sound experience. 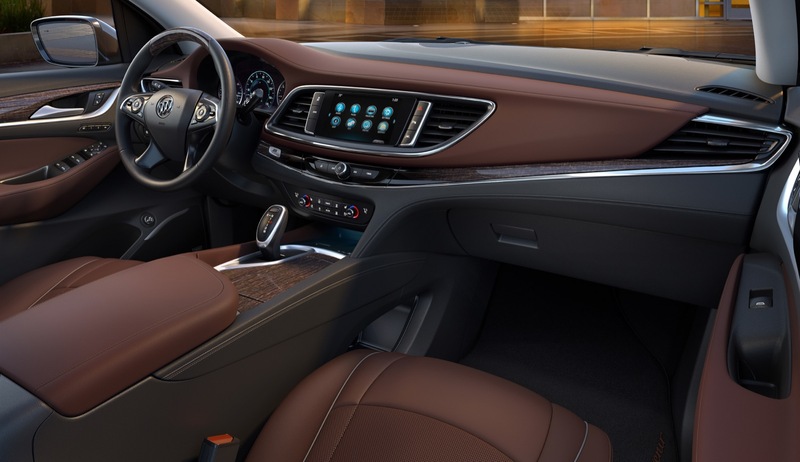 Another lifestyle-enhancing feature in the Enclave interior is an air ionizer that eliminates odors and provides higher air quality. It works by producing negatively charged particles that attract air-borne contaminants and break down their structure, cleaning the cabin air. The ionizer can help address external and internal odors and reduce bacteria, viruses, dust, debris and pollen, while also helping improve driver alertness. It requires no maintenance or filter replacement. Second- and third-row seating fold flat to create a wide, nearly-flat load floor. A power-folding third row makes reconfiguring more convenient, while second-row SmartSlide Seats provide easy access to the third row. On the passenger side, the SmartSlide seat provides pitch slide functionality to allow access even with an empty forward-facing child seat installed (using the LATCH system). 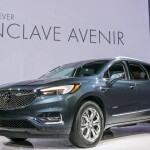 Additional standard equipment on every 2018 Enclave includes keyless entry and push-button start, a hands-free power-programmable liftgate with a Buick tri-shield logo illuminating the ground below the hidden sensor, tri-zone automatic climate control, universal home remote and more. A frameless 8-inch diagonal infotainment system with Teen Driver, Rear Seat Reminder, and Apple CarPlay and Android Auto compatibility is standard. 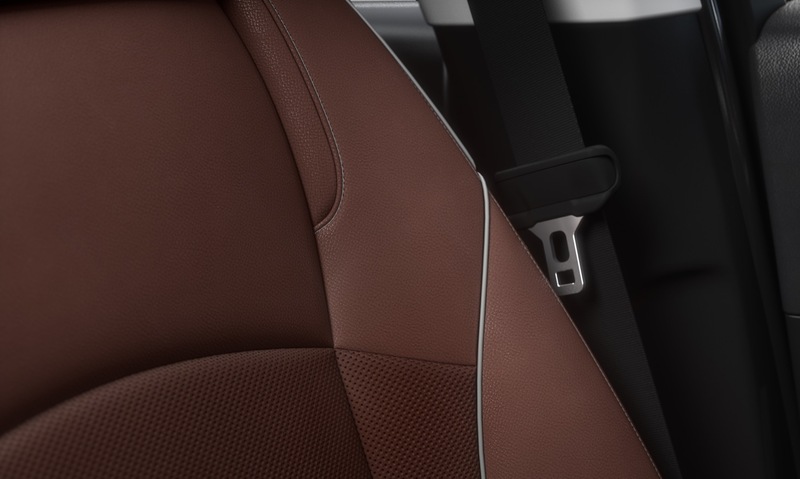 Every Enclave features Rear Seat Reminder2, an industry-first feature designed to remind drivers to check the back seat as they exit their vehicles under certain circumstances. 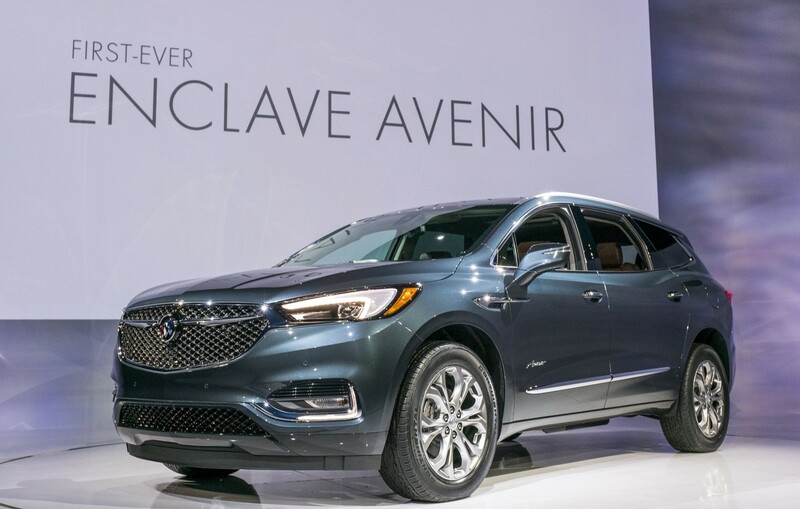 The Enclave will continue to be manufactured in Lansing, Michigan, and goes on sale in the fall of 2017. Pricing and other details will be announced later this year. 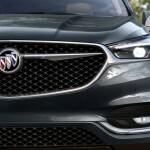 Buick is positioned to carry its momentum through 2017 and beyond. 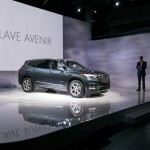 By the end of the decade, the brand will launch at least a dozen new or updated models globally, not including models from the Avenir luxury sub-brand. The 2018 Enclave is the seventh new Buick model introduced in less than two years.